Don’t Get Mad, Get Silly! | So, You Think You Can Teach ESL? 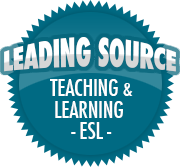 ← What ESL Program is Right For Your ESL Needs? I like to use humor to get my class’s attention when they get off-task. I also think there is a time to get (a little) angry, or at least stern when things become too chaotic. YOU are the teacher and adult in the room. You’re already having a bad day. You couldn’t sleep last night, and when you finally fell asleep, it seemed like your eyelids were only closed two minutes before the alarm rang. You got up after the third snooze, realized you didn’t have much time, rushed through getting ready for work, only to go outside and realize you had a flat tire. And now, groggy and covered in grease marks from your spare, you stand at the front of the classroom trying to deliver your well-crafted lesson when suddenly, in the back of the room, a cell phone rings, disrupting your train of thought.